Swirling eddies in the ocean have long been thought to be beneficial to organisms such as larval fishes residing within them because of enhanced phytoplankton production. However, direct evidence for this hypothesis has been hard to come by. A new study published this week in Proceedings of the National Academy of Sciences (PNAS), which sequentially sampled tropical fish from their larval stages to their settlement in reefs, confirms the critical role of these oceanographic features. Researchers found that young fish reared in nutrient-rich eddies in the Straits of Florida grew faster and had a survival advantage compared to their counterparts outside eddies, and were more likely to populate nearby reefs because of their more robust upbringing. "Eddies upwell nutrients and provide a high-productivity environment that gives larval fishes growing there a head start on survival," said Su Sponaugle, a marine biologist and principal investigator on the study who is affiliated with both Oregon State University and the University of Miami. "In cooler springtime waters, when larval fish are growing more slowly, the difference between fish raised inside or outside of eddies is small. "But by August, when warm waters elevate fish growth rates, food becomes scarce and larval fishes residing inside eddies are more likely to survive." The study is important because it provides resource managers and fish population modelers with valuable new data, said Robert Cowen, director of Oregon State University's Hatfield Marine Science Center, and a co-author on the PNAS paper. "If there are areas where eddies predictably occur, these could be considered pelagic nursery areas that would warrant higher levels of protection from human interference," Cowen said. "Further, the role of theses eddies should be incorporated into modeling efforts, which inform decision-makers. The influence of eddies may become even more important with warming oceans." 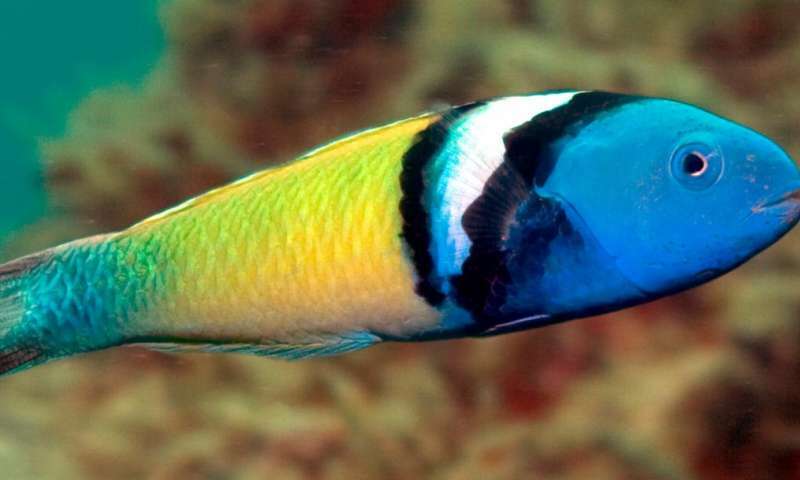 In their study, the researchers collected larval fishes both inside and outside of eddies, focusing on three species - bluehead wrasse (Thalassoma bifasciatum), bluelip parrotfish (Cryptotomus roseus) and bicolor damselfish (Stegastes partitus). They determined the daily growth rates of the fish through examination of their otoliths, or ear stones, and found that those raised within the eddies had substantially higher growth rates than fish captured outside the eddies. 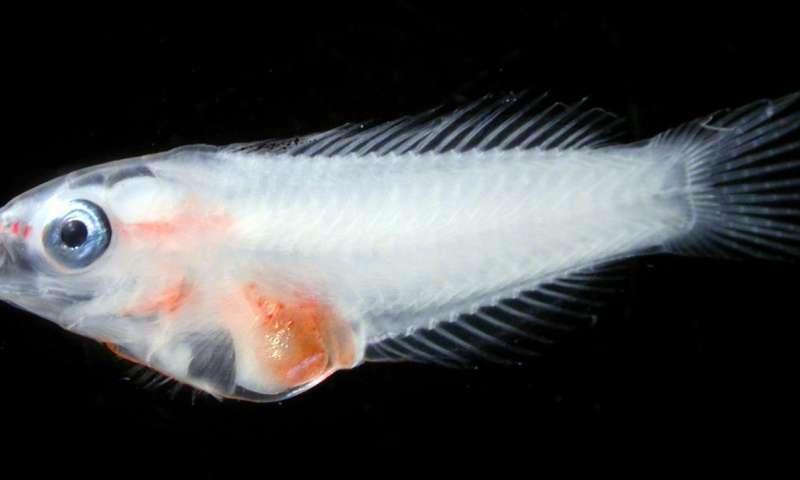 A few weeks later, they sampled young juveniles that had settled to nearby reefs and again using otoliths to chart daily growth rates of the fish were able to determine that almost all of those that survived to the juvenile stage had growth patterns similar to larvae from eddies. Fish raised inside of eddies have different growth signatures in their otoliths than those raised outside eddies, explained Kathryn Shulzitski, lead author and assistant scientist at the University of Miami. "This is the first time we have been able to sample fish throughout their larval upbringing offshore to their life as juveniles on the reef and see which fish had a survival advantage. "It was overwhelmingly slanted toward eddy-raised fish." The researchers theorize that larval fish residing outside of eddies either starve to death or become sufficiently weak that they are more susceptible to predators. "Although we were focusing on three species of smaller reef fish, it is likely that the importance of eddies for larger species - including those sought by people for food - are the same," Cowen said. "Likewise, this probably is not unique to the Florida Straits. Eddies are ubiquitous in waters around the globe and their role in mixing and stirring up nutrients is critical."